Of course, the ratings agencies and issuers would have you think that legacy CMBS are behaving just peachy, with delinquency rates below 6%. Let me ask you this: if a loan has had an A//B note modification, and as is typical the B note pays nothing, isn't that loan partly delinquent? I would say so, because the trust is not receiving its contracted cashflow from that loan. But, they don't want to include B-notes in their delinquency numbers because that would just be "bad news"
One Congress Street: I'm baaack! Even though it was on the tape as an office property it's mostly a parking garage. Any ideas for an alternative use for a parking garage? Babcock & Brown: one mod wasn't good enough? Also, the October remittance cycle was pretty ho-hum. Biggest move I saw was 400mm in 60 day dq in MLMT 2007-C1 on two Ezra Beyman loans which had already benefited from a 70/30 A/B note mod, but apparently that was due to a late payment being applied by the servicer. We shall see. 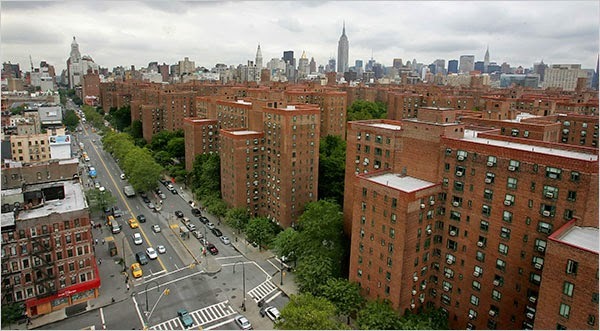 Stuy Town appraised at 3.5bln ... so what? People are besides themselves that Stuy Town has been reappraised for $500mm more than the senior loan balance, as a potential sale approaches early 2015 (which is also not going to happen without a co-op conversion plan). So what??? At least that amount has been advanced by the servicer, and they are at the front of the line to get repaid upon loan liquidation. Another $200mm goes to special ... whoop whoop!
" Per the Borrower, all three of the largest tenants will be vacating their space upon their lease expirations (American Express this month, International Paper in 2015, and UBS in 2018)." For all of you avid CMBS fans, GG10 is supposed to be the benchmark issue ... super-senior spreads on A4 are considered the level where super-seniors should trade. But, lo and behold, this deal is looking like a POS. AJs are getting shorted interest, and with this transfer, is the AM not far behind? 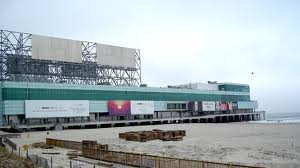 Pier at Caesars is under contract to be sold for $3mm. Well, it had to get resolved at some point. A colleague who had visited the place once said, "Everyone I saw there looked lost." Two aspects of this property's story point to how the special servicer was negligent. First was when, soon after Hurricane Sandy, they issued a bulletin relaying that damage was minimal and tenants were being allowed back into their premises. A few months later, Sandy-related damages of over $10mm were reported. Huh? Second, as pointed out by Barclays, the special rejected a $25mm bid when the property was put up for sale on Auction.com about 3 years ago. So, the special managed to subtract $7mm/year in value, yet will still collect their fees. By the way, the HQ in HQ13 stands for "High Quality"
That's one $200MM B-note we won't have to worry about any more. beginning of 2014. The sale price was below the latest appraisal of $184.9mn in March 2014.
repaying selling costs and lead to principal losses of about 66%. Question for my CMBS brethren: is there an issuer who stands out as worse than the others? I wonder how many of you have ever faced the situation of being without Intex, Trepp or Bberg and need to look up some bond, or a loan in a deal just to know what deal it's in, what its balance is and so on. www.cmbs.com is free, and it's easy to use. Where it says "find bonds", you can put in a deal using Bberg nomenclature or even a subset of the deal name. So putting in "2008-c2" will find that most wonderful deal, JPMCC 2008-C2. You can see the capital structure and the underlying loans. OK, you cannot run yields, but it sure costs a lot less than Trepp! within three months? It's subprime all over again! We know that a lot of sketchy loans went into legacy CMBS. Often, the special servicer delights in pointing out how actual performance differs from predicted performance (even though they bought the at-risk B pieces). The sole recourse left to the trust is to sue the originator for a breach claim. This has happened before but seldom. Orix took Nomura to the cleaners for Doctor's Hospital at Hyde Park (ASC 1997-D5) to the tune of $65MM including legal costs but it took over five years to resolve. I am aware of only one repurchase claim in the current market, City View Center in MSC 2007-IQ14. The story here is that a shopping center was built on top of two landfills in a suburb of Cleveland, with a methane remediation system to vent gas through lighting posts in the parking lot. Wal-mart moved in, decided it stank of fart gas, and moved out, triggering co-tenancy clauses. MSC is being sued for a breach claim for not having adequately disclosed environmentals. The loan has been declared non-recoverable and shortfalls are hitting the AJ class. Any others you know about? CMBS University: What is the difference amongst CMBS 1.0, 2.0 and 3.0? The question you were afraid to ask is answered here. In CMBS 1.0, also known as legacy CMBS, payments of interest are senior to payments of principal. Thus, when a deal had shortfalls due to delinquency and there was a sale of property which did not result in loan liquidation (e.g. Beacon Seattle in GECMC 2007-C1, or West Hartford Portfolio in BACM 2007-5), proceeds would be applied to paying off prior interest shortfalls in lower-rated classes rather than being applied to paying down principal in the front-pay higher-rated classes. Understandably, this got AAA investors upset. Why were lower-rated bonds receiving any sort of cashflow when they were not? What were the ratings agencies thinking? Thus, in CMBS 2.0 starting with the JPMCC-initiated deals in 2009, all cashflow is directed at the senior-most classes. This means that if a class suffers an interest shortfall, that shortfall is permanent until that class becomes a front-pay and becomes eligible for recoveries. What makes CMBS 3.0 any different? As far as I can tell, the difference is that 3.0 deals include an operating advisor (e.g. Pentlalpha) as a party to the transaction. The operating advisor does not seem to have any fiduciary role and seems to exist for the sole purpose of gathering fees as an advisor to the special servicer, but hey, we're all friends here so why not. Can anyone shine more light on this? What do you think? the properties are now REO assets of the trusts. This is good news for those of you who subscribe to both services, provided that Trepp doesn't tack on the Mstar subscription fee (around 60K per year for each service). Although I think Morningstar is dreadfully slow in putting out their monthly surveillance reports, they are generally pretty good in providing accurate loss estimates. According to the remittance from Wells Fargo on WBCMT 2007-C30, credit support on class G is 5.84% which will match Trepp. However, that same c/s level will be different should you consult it on Bloomberg or Intex. Why? The main culprit are WODRAs. For those of you who have not had the pleasure, WODRAs represent servicer recoveries of advances from principal as opposed to interest cashflow. In the case of C30 as of May 2014, $6.813MM of bonds are supported by $6.807MM of collateral. This $0.06MM principal shortfall can only be recovered if REOs are sold for more than their loan balance, which is usually not the case. What does Trepp do? They match the trustee remittance, which totals all bond balances inclusive and subordinate to the given bond and divides that by the total bond balance. To Trepp's credit, they also report an ARA-adjusted c/s level which takes into account B-notes (which are usually 100% loss) and appraisal reductions (although surprisingly, not loans declared non-recoverable which have a 95% loss severity on average, last time I looked). What does Bloomberg do? They total all bond balances inclusive and subordinate and divide by the total collateral (as opposed to bond) balance. Better, but still incorrect since B-notes, appraisal reductions, and non-recoverable loans are considered money-good. Finally, we consider Intex. Although they do not adjust their c/s levels for B-notes or ARAs, they do back out under-collateralization resulting from WODRAs from collateral balance as their denominator. And they provide forbearance and non-recoverable loan data so that the enterprising investor can figure out what real c/s levels are. All hail Intex! capital costs going forward in order to secure additional new leases. One of the co-owners, Joe Moinian, is known for asking for loan modifications (e.g. The Renaissance). Another co-owner, Joseph Chetrit, has quite a reputation in CRE circles. It is interesting that LBUBS 2007-C2 AJ is already a first-loss piece (thanks to Orix dumping all the loans they serviced in one single month). An A/B note modification could make it the first zombie AJ! We've had a good run, but have just gotten too busy to keep posting on a regular basis. So, we're going to shut this blog down. If anyone wants to take it over, email me at credarkspace@gmail.com. "The lopsided bond market has caught the attention of the U.S. Securities and Exchange Commission. Not only is the SEC examining whether the biggest players get preferential prices and access because of their influence...Bill Gross and Larry Fink manage a $3 trillion pile of bonds...". What?!? !, the Fed balance sheet just surpassed $4 TRILLION all by its little ol' self. You take Mortgages + Treasuries and you're right around the $30 trillion mark, and the largest investors are the US Treasury and the Fed, and its almost impossible to mark the size of the exposure the US Treasury has but their risk is certainly higher than the Fed, and canyons of risk larger than any group of private funds. Here is another one, from the article, "While regulators have looked at the threat to the financial system posed by too-big-to-fail banks, hazard has migrated to money managers." Bless their hearts. They still don't realize they are, themselves, the problem. "Investors typically get worse prices when they trade smaller blocks of bonds. One day last month, dealers sold $15,000 of steel company ArcelorMittal SA’s bonds maturing in 2041 for 3.5 cents on the dollar more than they paid to buy $25,000 of the same securities an hour later. By contrast, two exchanges of $100,000 or more of the debt that day were within 0.05 cent of one another, according to Trace, the bond-price reporting system of the Financial Industry Regulatory Authority." I saw a plus-sized lady just this weekend buying a 12 pack of pepsi with extra sugar and the per can price was far below a single-can price. We need a regulator to start looking at this type of activity at CostCo and Super Walmart, someone call their congressman pronto! ...The largest portfolio (34%) is comprised of 18 CRE assets that previously served as collateral in various CMBS transactions and were acquired by Oaktree from special servicer CW Capital Asset Management LLC (CW Capital) in February 2014. Bloomberg had an article regarding JC Penney closures and their impact on CMBS out last week. It noted that JC Penney is the biggest tenant in the CMBS market (is this accurate?) and the move highlights the "widening chasm" between successful malls and dying malls. We're starting to see results from the CWCapital Auction trickle out in servicer reports and in the news. 119 West 40th Street (GSMS 2007-GG10) - latest file reflects a $171mm sales price (note this reflects the listed proceeds in the monthly report and is higher than the BBG article estimate). Unlike the other loans in this list, this is a loan sale (the others were REO already). It is 106% of outstanding loan balance, a 40% premium over the 9/2012 appraisal, and resulted in a 30% loss severity. Two California Plaza (GSMS 2007-GG10) - CIM purchased. No price or estimate available. Largest asset in the sale. BBG noted that part of the transaction included CIM taking over property at the end of 2014 (REO sale). The most recent appraisal was $343mm in 1/2013 vs a $468mm loan balance outstanding. Montclair Plaza (WBCMT 2006-C28) - CIM purchased for $170mm, 89% of outstanding balance, 13% over 2/2013 appraisal, 29% estimated loss severity (after accounting for advances, etc.). Four Seasons Resort and Club Dallas (WBCMT 2006-C28) - BBG estimates $150.5mm sales price, 86% of outstanding loan value, 12% premium over the 9/2013 appraisal, 28% estimated loss severity (after accounting for advances, etc.). As an aside, the BBG article mentioned PCV/ST in the context of the $3.4 billion appraisal from 9/2013, and the increasing likelihood of a disposition in the second half of 2014. According to the WSJ, JCP is closing 33 Stores. I'll update this entry with CMBS exposures if/when I get a chance.